I acquired this seedling in Palm Springs in the Spring of 2014. 2 growing seasons later, here it is early winter 2015. 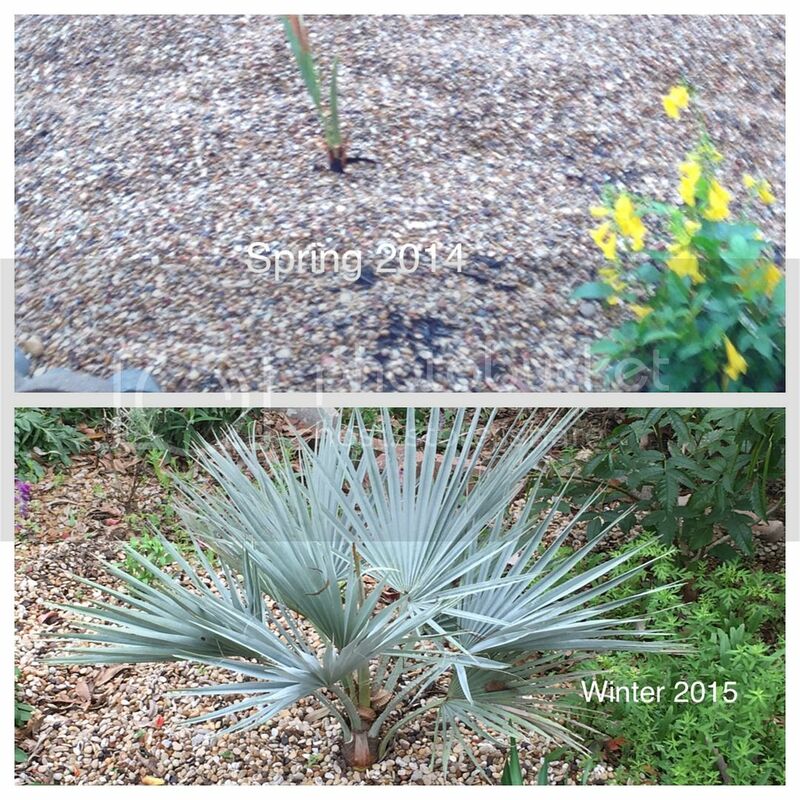 Amazing how quickly this desert dweller grew. Could it have been the more than 60 inches of rain we got this past year?